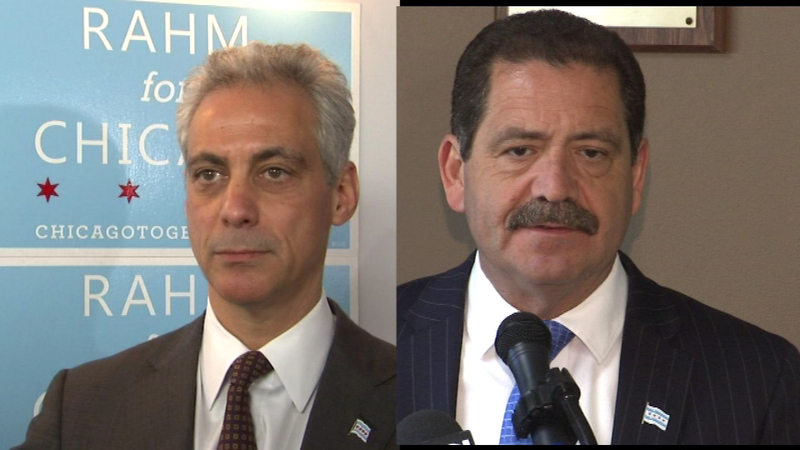 Mayor Rahm Emanuel (left) and Cook County Commissioner Jesus "Chuy" Garcia face off in Thursday's runoff election for mayor. CHICAGO (WLS) -- Polls across Chicago are closed as early voting for Thursday's runoff elections came to an end Saturday afternoon. More than 140,000 people have cast their ballots in Chicago. There was extra staffing and computers to handle the high turnout. Many of those votes were for Chicago's first-ever mayoral runoff election between Mayor Rahm Emanuel and Cook County Commissioner Jesus "Chuy" Garcia, and candidates were making a big push this weekend to win over undecided voters. Emanuel was joined by Atlanta Mayor Kasim Reed at a "get out the vote" event at the Kleo Center on the South Side. Garcia was also out greeting voters at the Rainbow PUSH headquarters Saturday morning.